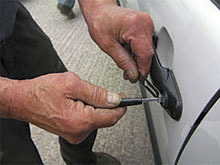 It’s all too easy to leave our keys locked in the car and poor attempts to enter the vehicle too often results in expensive door or door lock repair and replacements. If you’ve locked your car keys in your car then don’t feel embarrassed. Just give us a call and we will be there with in 20-30mins . If you have locked yourself out of your car the first thing is NOT TO PANIC. It happens to lots of people every day. Just call on 07840 415093 and we will have a fully qualified and experienced engineer with you locally within 30 minutes. we will quote you a fixed price on the phone without any hidden charges and if you don’t have any money with not to worry as every engineer can take safe and secure payments from the leading Debit and Credit cards. We all share the same worries of vehicle theft, vehicle breakdown, running out of fuel, and those terrible hit-and-run accidents that leave the owner empty handed and out of luck. Perhaps the most disturbing fear is leaving work, the grocery store, or a business meeting only to notice you have locked your car keys in car with no easy or reasonably quick method of finding a solution. Some people begin to consider sudden alternatives to gain entry to the vehicle. Perhaps you begin wandering around seeking an ample sized stone or broken piece of concrete. Next comes the decision on which window is the best choice to be broken. Yet, even the smallest of windows like the corner rear glass in the side passenger door could mean costly repairs . on modern vehicles the doors will still not unlock! While it’s difficult to provide a good estimate considering all the different types and models of vehicles and the availability of parts, the average repair is several hundred pounds. And, if you have full coverage insurance, you had better hope the insurance claims department believes it was not a self-inflicted wound. Besides, most deductible levels are above and beyond this type of repair. The obvious next solution is to call the local main dealer. If you’ve locked your car keys in your car then don’t feel embarrassed. Just give us a call and we will be there as fast as possible.